If you’re in the market for a new SUV it might be worth holding out for a few months as VW has just announced intentions to provide drivers with an option for a smaller SUV and truth be told, we’re loving what we’re seeing. The VW T-Cross was first unveiled at the 2016 Geneva Motor Show as a concept, and 2019 might just be the year we see this itsy bitsy SUV make it to market. A global increase in demand for smaller SUVs prompted the German car manufacturer to conceptualise the T-Cross, which according to VW will soon be going into full production before it is released in several markets But, while we have an idea of what it looks like, its final production appearance is still a mystery. We do know that the T-Cross will be 4,107mm long, and is billed as being as comfortable in the city as it is for outdoor excursions – making it ideal for the SA market. A lot of drivers have to do significant city commuting for work, but also want to be able to go on bushveld adventures when the urge strikes. As it stands, it looks like it will be a bit of a combination between the Cross Polo and another concept car VW has discussed before – the T-Roc. An image of what is presumed to be the trial versions of the T-Cross have already hit the web, and it looks like it will compete well in the small SUV segment. 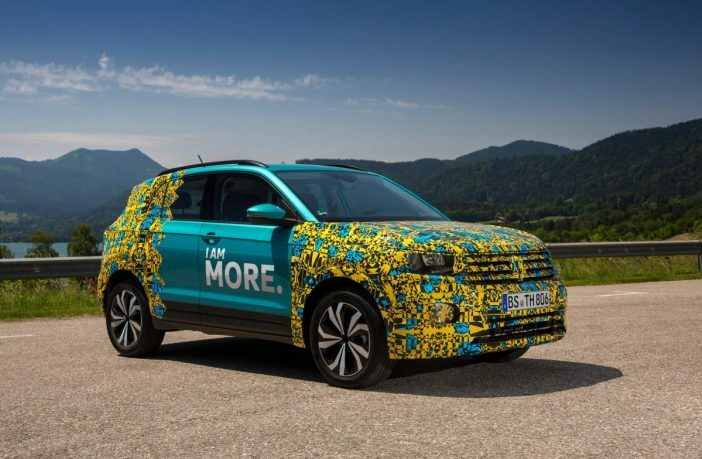 While Volkswagen has indicated that it is taking the design and production of the VW T-Cross seriously, a definite date for release has yet to be confirmed. Rumours seem to suggest it’s looking at a 2019 release – but official details from VW will have to be confirmed before anyone starts planning any purchases.